GESAB has always been known for its creative and innovative spirit in all aspects of the business, from conceptualization and design of technical furniture and control consoles for more advanced control rooms, to the use of new communication systems over the Internet. Social media has transformed the way we communicate and receive information, generating a series of relationships with our customers unthinkable just a few years ago. Our goal is to provide information with high added value and be in direct contact with all users across multiple platforms, either through our website, our newsletter with the latest news from GESAB, or different social media like Facebook, Twitter , Google +, Pinterest or Linkedin. 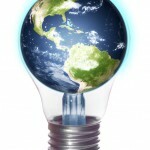 If you’re still not in these networks, now is a good time! 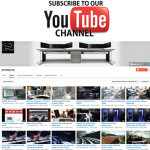 And how can you not subscribe to our YouTube channel, where we have already surpassed 20,000 views and growing, offering high quality videos where you can see our products, events, technical information, trends in control centers, data center consoles control and technical furniture, audiovisual systems, custom products, control panels, synoptic, button, racks, engineering and interior design projects and more! 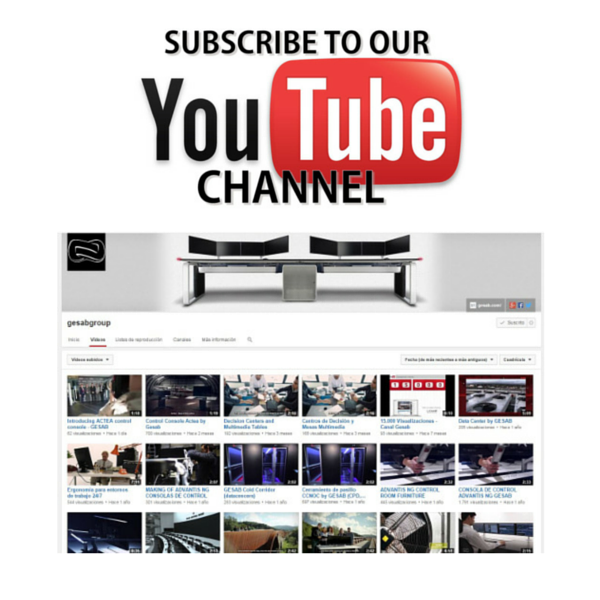 If you do not want to miss our next video, subscribe now!